the Blue is based on an advanced operating system that makes it easy to install applications accessible via a dashboard. 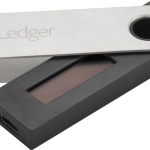 The Ledger Wallet Blue is the latest hardware wallet from Ledger and convinces with its even easier operation. 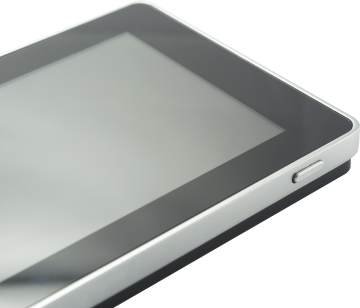 This model now also has a touch screen and improved connectivity via Bluetooth. 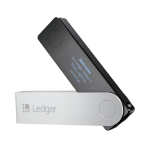 Ledger Blue is the most advanced hardware security equipment on the market. 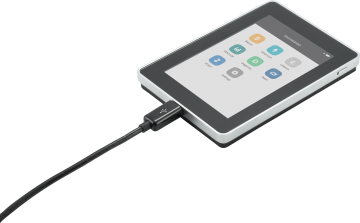 It has multi-application execution and combines enterprise-level crypto capabilities with a lightweight handheld device. Manufactured and developed in France, it meets the highest standards. 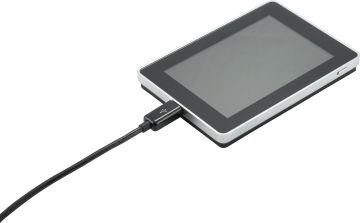 It is built around a secure element, with a touch screen and USB & Bluetooth connectivity. 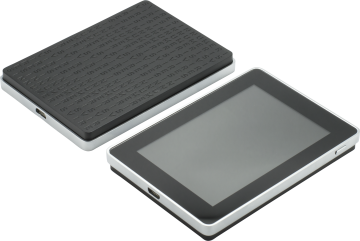 Ledger Blue is the latest product from Ledger, which has been developed over two years of research and development. 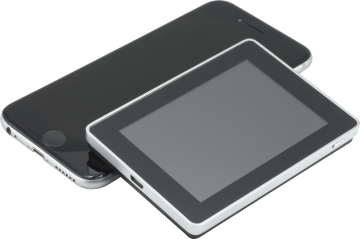 This high-end device embeds a large touch screen to securely manage transactions and complex, intelligent contracts. Its smooth, yet rugged housing incorporates best-in-class technology built on the Blockchain Open Ledger (BOLOS) platform. 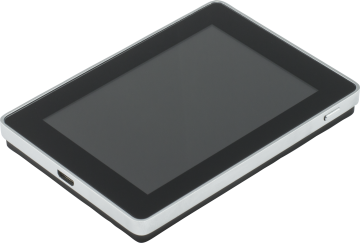 The Blue Ledger is based on a dual-chip architecture that integrates an ST31 SecureElement and an STM32 microcontroller. 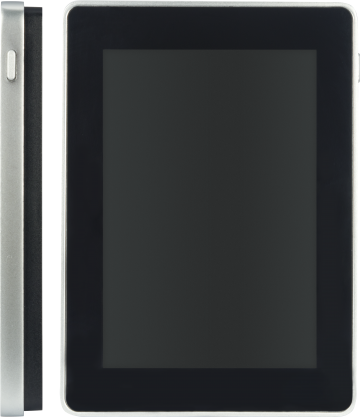 It has a touch screen with LED backlighting for easy navigation and transaction validation. 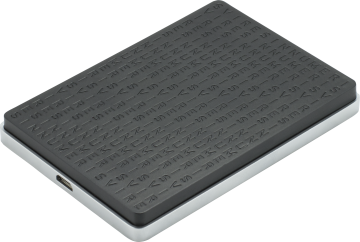 It is powered by a Lipo battery and communicates with USB or Bluetooth devices. 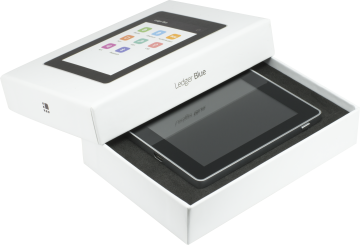 Thanks to its modular architecture, the Ledger Blue executes several dedicated companion apps in full isolation via the firmware. 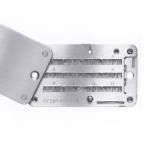 The strong security model allows you to add new cryptocurrencies or apps without endangering the master key. Transaction integrity is ensured by the WYSIWYS paradigm (What You See Is What You Sign). 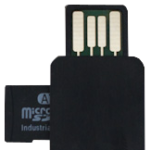 The flexibility of the device allows the user to use the device in the firmware that can support any type of block chain. This is my comment after using the Ledger Blue which I fell in love within seconds. Typography is light gray which is hard to read, even for young eyes. Also to small. The “Auto lock delay” and the “Power off delay” buttons are far to light in color and the letter in the buttons have no contrast what makes it hard to read. The keyboard could be bigger as the screen has enough space. The button “Continue” is to light and also hard to read. The Authenticate Button should be in the first place. Logically. With cryptocurrency the user are confronted with new technology which a user has problems to grasp. 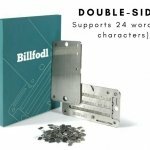 A clear typo and bigger letters would help to ease the eyes and the mind and help to concentrate on using the applications. DON’T Forget, the users are retired people and teenagers, actually the whole range of any age, starting with four years. Eyesight is declining through the use of small screens like mobile phones and working on computer screens. 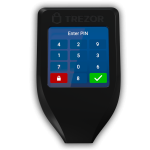 Ledger Blue is still far superior tho the Trezor which typo is horrendously small. Readable only with a magnifying glass. Mine sleeps in a drawer on the bottom of a kitchen counter. A riddle is the back of the device. What do the letter say? 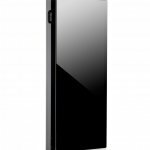 As a product designer educated in Switzerland I can tell that Ledger believes the screen design has to be elegant. Look at a manual from an air plane or of a stealth bomber, a sniper gun or just a love letter. You want them to be read and understood. Especially a writer of love letter wants to be rewarded with some sweet kisses. Repeatedly. A great designer brings the writings to life and makes it readable. Ask your female staff about it. Their answers and comments have great value. I am very sorry to write this. It needs a voice which sees the potential of the product. 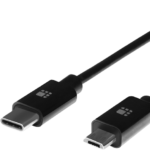 Thank you for the ease of use with the excellent hardware! Agreed. I find it amazing they can put out such an enterprise product with such a badly designed UI – did they ever try it? EXTREMELY small grey font on white. Impossible to read. Ok, I ear glasses and am 50 – but I haven o problem using my phone. Somehow on my phone they manage to make the text larger and with proper contrast. This is getting comical if you look at WHAT they communicate. Most of the time, you basically stare at an empty screen. Because settings has one line (text like 30% left, then a button on the right). NO reason they could not make better sizes. BOLD font and maybe light grey is not exactly smart on a white screen. The concept is amazing – the execution prefers good looks over usability. This is not enterprise ready – it is “amateur hour” in the design area. thanks for your comments ; I will postpone my buy until those problems are resolved ! 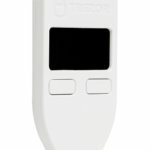 You already have experience with the product "Ledger Blue"? Then I am looking forward to your rating!